Come enjoy one of Missouri’s most underutilized natural resources! Katfish Katy’s offers one of the nicest boat ramps on the Missouri River. At mile marker 180, the Katfish Katy’s ramp is a quick run to great fishing, huge sand bars, Rocheport and numerous duck hunting spots. The ramp is wide and long enough to allow access during high and low water, when other ramps are either under water or drop off. When coming to our ramp, please note that the ramp is not accessible from The Station House main entrance. Please use the boat ramp specific entrance south of the main entrance. No overnight boat parking. Both motor and paddle vessels welcome. Through the purchase of a season pass. Katfish Katy’s will send you a keycard to grant you access.  Come to the Station House and enjoy great food, fun events and the beautiful Missouri outdoors.